Modern day Estate Agents only want the best for their board and signs, they need to be full colour with their logos prominent. Abstract Ltd use state of the art screen printing to guarantee the best looking graphics are printed on to your estate agency sign boards and we make it as inexpensive as possible, we give the best quality at the best price whether it is for just 1 board or for 100’s of boards. Side Fixing Flag Boards printed on 6mm board are the most used types, but we also do centre fixing T-Boards where two sheets of 4mm boards are welded down the outside edges, to allow a post to be inserted between the boards. Installation is provided for all our Estate Agent Signs and Boards so there is no middle men involved, keeping the price as low as possible. 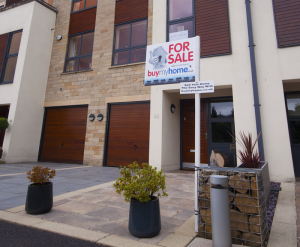 Estate Agent Boards are manufactured by us from 6mm 1300gsm UV stabilised sheet and sold at the same price (or less) that others charge for 4.5mm 1050gsm or even 4mm 700gsm signs. Of course, we can produce many other size/colour combinations. If your requirements are not listed, Please ask or fill in the contact form on the contact page. 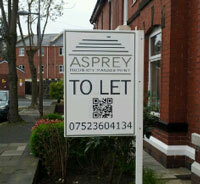 Telephone us on 01204 535453 for a no obligation free quote for your estate agent signs or boards. Email us on info@abstractprint.co.uk or fill in the contact form on the contact page if the telephone is not your thing.